For some of us, they carry the bright blue of our grandfather's eyes. For others they result in the characteristic cleft chin or the familial tendency toward color blindness. But in some families, the genetic mutations handed down from generation to generation aren't as benign. And for one family in particular, the mutation results in early-onset Alzheimer's disease. "We heard about a family in Girardota a number of years ago," said UC Santa Barbara neuroscientist Kenneth S. Kosik, who studies Alzheimer's disease and other tau protein pathologies and works closely with research partners in Colombia, where this family is located. The subject of a new paper published in the journal Alzheimer's & Dementia, the family was discovered over the course of Kosik's work in the Medellin region. While studying the genetics of a different, roughly 6,000-member family in the Colombian province of Antioquia with a now well-documented history of early-onset Alzheimer's disease due to a mutation in the PSEN1 (presenilin) gene, the researchers came across this other, smaller family presenting the same symptoms. "We analyzed their genes for mutations," said Kosik, UC Santa Barbara's Harriman Professor of Neuroscience and co-director of the campus's Neuroscience Research Institute. "And, remarkably, we found another mutation in the very same gene. And they are unrelated to the first family." Though located on the same gene as the first family's, genetic analysis revealed that this genetic mutation was in a different location, ruling out the possibility that this smaller group of people was a subset of the larger family. "Having it arise twice in two families that are in pretty close proximity is a little surprising," Kosik said. "But improbable things happen." Using identity-by-descent analysis, the first, larger family's mutation was traced back to the Spanish Empire, and is thought to have been brought to South America by a single founder who might have been a conquistador during the colonization of Colombia in the early 16th century. The second, smaller family's PSEN1 mutation, meanwhile, has been traced to Africa. "We pinned it down pretty clearly to show that in the region around the mutation the sequences around there were of African origin," Kosik said. 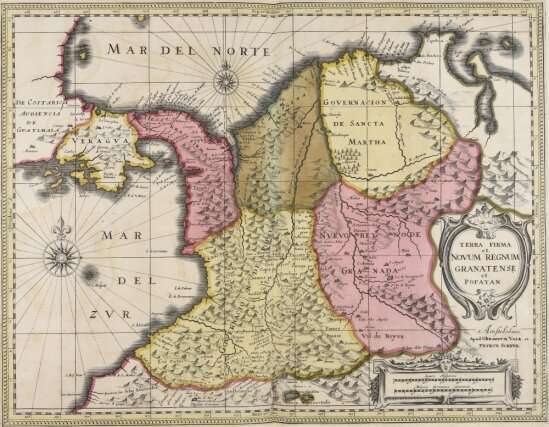 These findings were further bolstered by Colombia's history: In the 16th century, West Africans were imported into the country as enslaved people, and, like the conquistadores of the same era, mixed and mingled with the local population. In fact, the concentration of Afro-Colombians led to the modern-day establishment of the department of Chocó, an enclave on the western coast of the country inhabited predominantly by descendants of the enslaved Africans. "All of us carry different mutations," he explained. Often, these errors in our code don't survive. They don't beat the odds to become part of the next generation, or they die with their last, childless carriers; in some cases they make it impossible to reproduce. But in Colombia, through millennia of population dynamics—the violence and introduced diseases brought on by conquest, the ebb and flow of populations, the mingling and also the isolation—this PSEN1 mutation persisted. "It was never selected against," Kosik said. While we think of 40 as a 'young' age to have genetic early-onset Alzheimer's, it's late enough in a person's life for them to have passed on their genes to the next generation before it manifests. And the idea of a genetic component to this condition wouldn't come until the 20th century. When a genetic link to the first Colombian family's early onset form of Alzheimer's was established in 1997, it provided a valuable opportunity. With the family's consent, the research collaboration led by Kosik and neuroscientist Francisco J. Lopera of the Grupo de Neurosciencias de Antioquia at the Universidad de Antioquia, was able to document the progression of symptoms from its earliest stages and later, with additional investigators, to conduct clinical trials for a drug with potential to arrest the disease. "If you really understand what are the first things that change, what might be the effects that trigger these changes, you might find a way to interfere with that pathway," said lead author Juliana Acosta-Uribe, a graduate student researcher in the Kosik Group who joined the team as she was completing her medical training at Universidad de Antioquia. This second family could provide insight into, among other things, whether or not the progression of genetic early-onset Alzheimer's is similar for all people with a PSEN1 mutation or if it is family-specific, she said. "These families are traditionally large families, where you can have eight, 10, 13 kids," Acosta-Uribe said. "The patients we're seeing now, they have already had their own children. So it's their kids that are now really understanding what's happening and asking questions." "We're now very actively discussing these questions of disclosure," Kosik said of a separate, but no less significant research endeavor. "We're really very involved in finding out which people want to know if they have this mutation, and what they would do differently if they knew or didn't know."